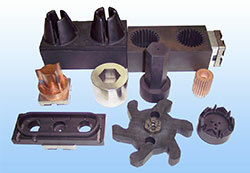 There are many operations where ram EDM is the most efficient way to machine parts. 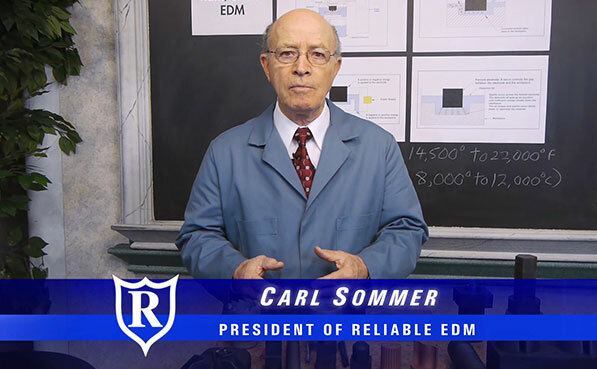 Ram EDM can be done in the vertical or horizontal position. 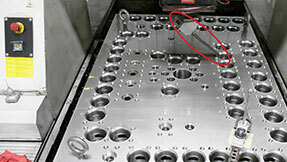 We are even able to EDM parts upside down. 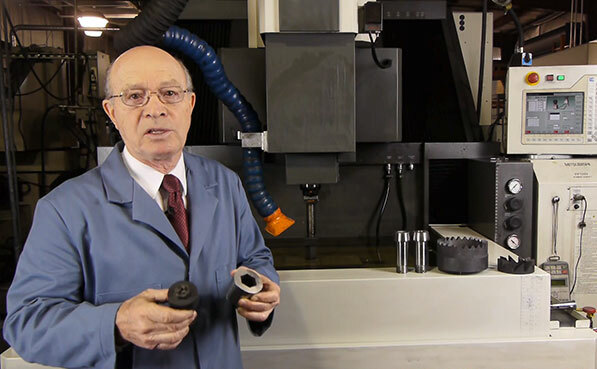 Tolerances of up to +/- .0001" can be achieved with very fine finishes. Pins and cross-hatched parts can be ram EDMed. The coin shown is a dime. 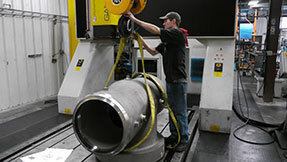 Pins are .012 inch diameter to a depth of .030 inches. Orbiting machines can machine helical gears and shapes. 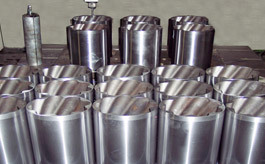 Our ram EDM machines are capable of orbital, vectorial, directional, conical, horizontal planetary, cylindrical, helical, concave and convex spherical machining. 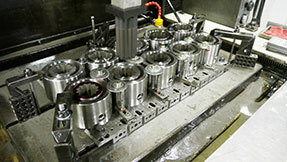 Since all our machines are computer numerically controlled (CNC), they are excellent for production work and repeatability. 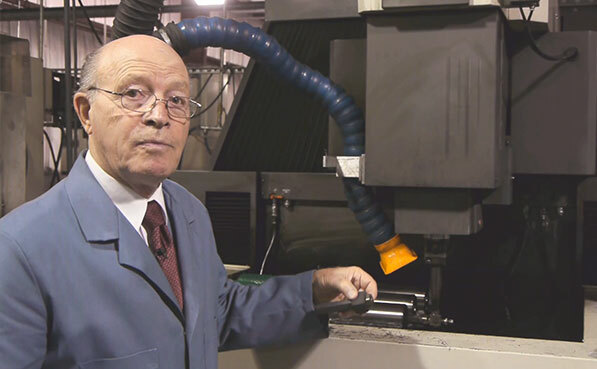 Ram EDM has the capability to machine parts on an angle. Work tank size on this machine, larger than a ping pong table: X 79.5", Y 126.7", Z 53". Table load is 66,000 pounds. 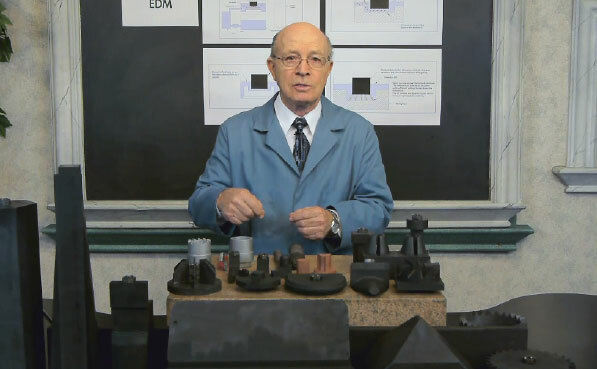 Can fully submerge parts as tall as 52 inches. 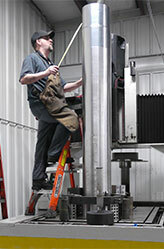 By modifying machines, tall parts can be EDMed.